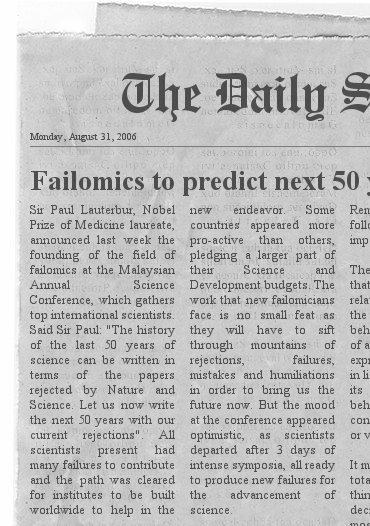 Failomics is a new field of sciences interested in using scientific tools and methods to study the scientific method. Among the objects that this field studies, there are failures. Of course, we all know that failure is part of life: “trial and error”, “Learning curve” all require failures. However, we usually prefer to talk about successes. Because successes answer questions, rather than ask new ones. We are satisfied with answers…. for a short while. So, let’s dig into the process of science-making and figure out where it can fail… let’s start by asking the scientists themselves. The early part of this project consists of interviewing biological/life sciences laboratory workers (from technicians, undergraduates, postgraduates, senior scientists, post-doctoral fellows, principal investigators, professors…), asking them “Do you have any failures to share?”, and then sorting through the failures thus obtained. Any proper scientific endeavour requires the classification of the material to be studied. A taxonimical chart is being prepared, which includes all detected, collected and dissected failures so far. In order to understand failures, enough of them need to be collected and arranged so that a pattern can be seen to emerge…. 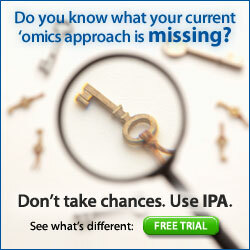 This website is being built and eventually should contain information relevant to the field of study. Please feel free to explore and come and visit again soon.